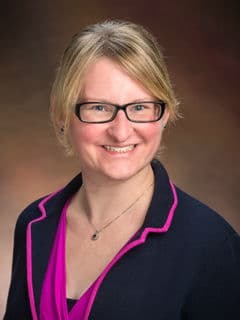 Portia A. Kreiger, MD, is an attending pathologist and Director of Operations in the Division of Anatomic Pathology at Children's Hospital of Philadelphia. Rood LE, Rao S, Paessler M, Kreiger PA, Chu N, Stelekati E, Wherry EJ, Behrens EM: ST2 contributes to T cell hyperactivation and fatal hemophagocytic lymphohistiocytosis in mice. Blood 127(4): 426-35, January 2016 Notes: Epub 2015 Oct 30. Mitchell CA, Kreiger P, Goff C, Shah UK: Pediatric foreign body aspiration: A nidus for Aspergillus colonization. Int J Pediatr Otorhinolaryngol 79(6): 938-940, June 2015. Rodriguez E, Sakowski L, Hobson GM, Armani MH, Kreiger PA, Zhu Y, Waldman SA, Shaffer TH: Plp1 gene duplication inhibits airway responsiveness and induces lung inflammation. Pulm Pharmacol Ther 30: 22-31, Feb 2015. Lieberman S, Kreiger P, Koretzky G: Reversible lacrimal gland-protective regulatory T cell dysfunction underlies male-specific autoimmune dacryoadenitis in the nonobese diabetic mouse model of Sjogren syndrome. Immunology 145(2): 8, Jan 2015. Interferon-γ mediates anemia but is dispensable for fulminant toll-like receptor 9-induced macrophage activation syndrome and hemophagocytosis in mice. Canna SW, Wrobel J, Chu N, Kreiger PA, Paessler M, Behrens EM. Arthritis Rheum. 2013 Jul;65(7):1764-75. Repeated TLR9 stimulation results in macrophage activation syndrome-like disease in mice. Behrens EM, Canna SW, Slade K, Rao S, Kreiger PA, Paessler M, Kambayashi T, Koretzky GA. J Clin Invest. 2011 Jun;121(6):2264-77. Not all hemophagocytes are created equally: appreciating the heterogeneity of the hemophagocytic syndromes. Behrens EM, Canna SW, Slade K, Rao S, Kreiger PA, Paessler M, Kambayashi T, Koretzky GA. J Clin Invest. 2011 Jun;121(6):2264-77.